How does one measure the performance of an investment in CLO equity? The common measure is IRR ("internal rate of return"). 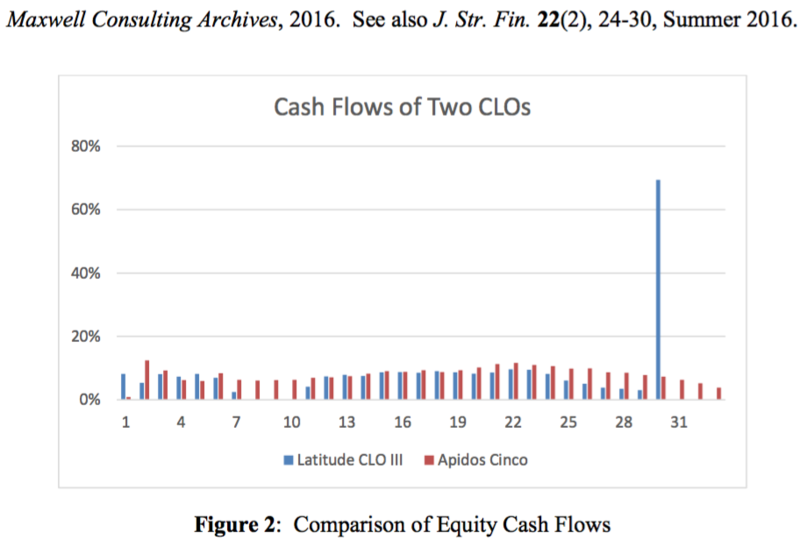 We argue in our Journal of Structured Finance article " Better Measurements for CLO Equity Performance," 22(2), 24-30, Summer 2016, that there exist two better ideas. They are ROX ("return on exposure") and CLO# (pronounced "C-L-O-Sharpe"). ROX is much like a spread-to-LIBOR, also known as "discount margin," approach. 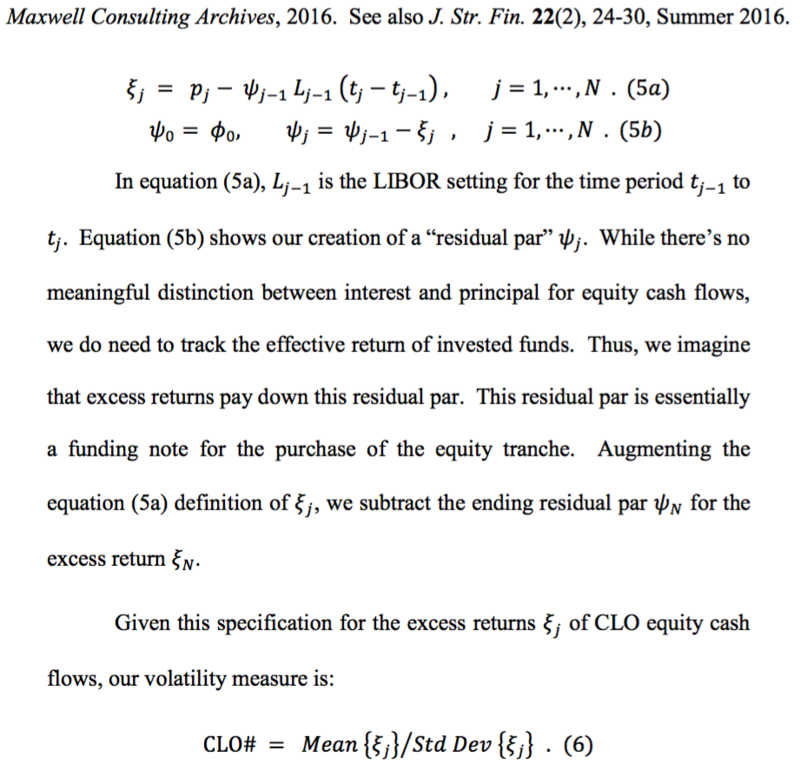 CLO# is the ratio of mean excess return to standard deviation of the excess returns. Load below the CSV file holding the payment data. The algorithm ignores the first row (so that it may contain labels for the columns). The next row holds the Closing Date, investor's payment for Equity tranche, and LIBOR setting at the Closing Date to the next payment. Subsequent rows hold the dates, amounts, and LIBOR settings for payments to the investor.